30 clips reproducing either individually or combined a number of film effects and film flash most of which are generally called camera light leaks: the effect of light leaking inside... Film FX 1.0 clips are available for purchase individually by following this link. Read the reviews here and here. *Download links will be emailed to you, if you have not received it in your inbox, please check your spam folder, links expire after 24 hours. **Clips MUST be exclusively viewed and used inside an editing or compositing application, see manual for more details. ***FFX1.0 Library is accessible with the purchase of LVFX Platinum. Film FX transitions pack 1.0 provides 30 clips reproducing either individually or combined a number of film effects and film flash most of which are generally called camera light leaks: the effect of light leaking inside a film camera and/or the negative being, somehow, exposed to light. The effects have been designed bearing in mind that outcomes from such occurrence are innumerable but that certain camera light leak "looks" are generally preferable as a light leak transition effect. 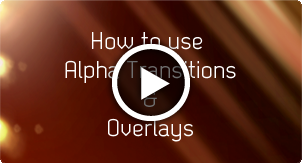 Other transitions include old countdown and multilayered old scratched film effects. A good number of these clips have been designed to be used modularly. They can be purchased as a bundle or individually by following this link. Click on the thumbnails below to get a preview of each Fim FX 1.0 clip. Clips are low resolution and should only be viewed as a sample, please download the demo clips to get a better idea of the quality. The current date and time is Tue 23rd April 2019 :: 02:12:05 at Luca Visual FX Studio in London.